Vivegam teaser has opened up on a high note in YouTube, with the teaser already crossing over 2 million views (by YouTube) and 5 million views (real-time backend estimated) in just 12 hours. Ajith fans had also recently requested everyone to view the teaser only on YouTube and not download and share it on other forums. It looks like that has helped the teaser very much. Looking at the history, Vedalam is Ajith's most viewed teaser (6.8 million views). 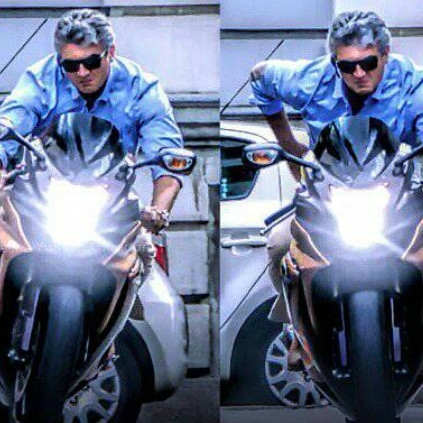 If this pulse and high energy for Vivegam continue among the fans and general audience, then this teaser might even cross 10 million views. If it crosses, then Vivegam will be the first ever Ajith film teaser to cross 10 million views. Can we expect Vivegam teaser to cross this milestone? Just a few more days, and then we'll know.